These Clash Royale-like games are the perfect mix of MOBA, tower defense, and card-collecting! Games like Clash Royale are insane time-sinkers. Created by Supercell, Clash Royale is a multiplayer hybrid of tower defense, MOBA, and collectible card games. You play in an arena with two towers and a King’s Tower, dragging your cards (i.e. units) onto twin lanes to both defend and attack your opponent’s army and buildings. Every card has unique strengths and weaknesses, requiring varying levels of Elixir to be used. 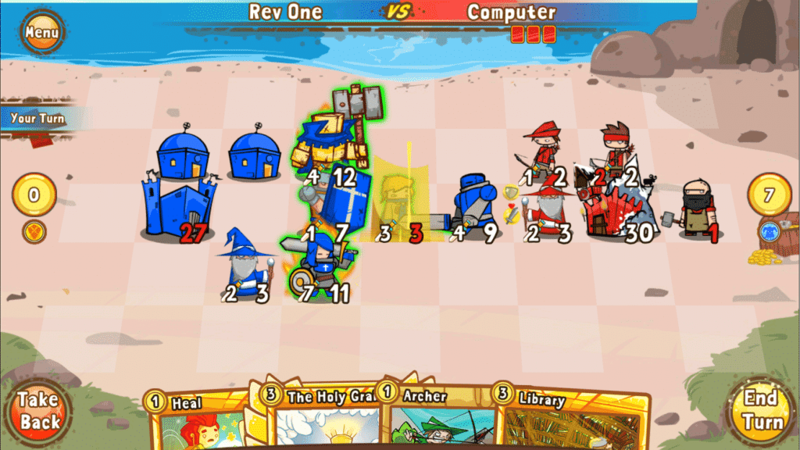 Your strategizing thus basically comes down to choosing the right units at the right place and time to score victories. Units can also be upgraded with your coins and collected cards gathered from victory chests. What makes Clash Royale one of the best mobile strategy games available is its ‘easy to pick up but hard to master’ mechanics that gives increasing rewards the longer you play. Thankfully, Clash Royale is not the only game of its kind. Here are 20 other best mobile strategy games like Clash Royale for you to get addicted to! Each game must be playable on smartphone devices. Games like Clash Royale should be a breeze to get into but require time and commitment to truly become a pro in. Not all these apps are exact analogues to Supercell’s hit. Some will be more similar to Clash Royale than others. However, all of them have two or more features that’ll appeal to most Clash Royale fans (e.g. tug-of-war lane battles, upgradeable units over time, short matches, online tournaments, etc.). You may want to check out our list of 10 Online Collectible Card Games Like Hearthstone if you’re especially keen on the deck-building aspect of Clash Royale. 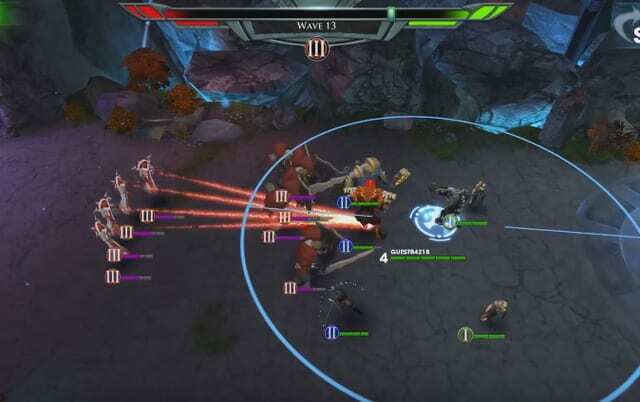 We also have 10 MOBA Games Like League of Legends if you enjoy arena-based battles and levelling up characters / units. A few Tower Defense games have been included in this current list. However, we’ll be releasing a more complete list of Best TD Games very soon! In addition, we’re in the process of putting together a new Games Like Clash of Clans compilation for fans of Supercell’s other megahit. So stay tuned! All images / videos are copyrighted to their respective owners. 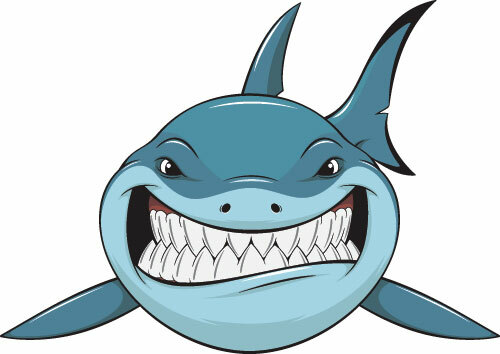 This post contains iTunes affiliate links. 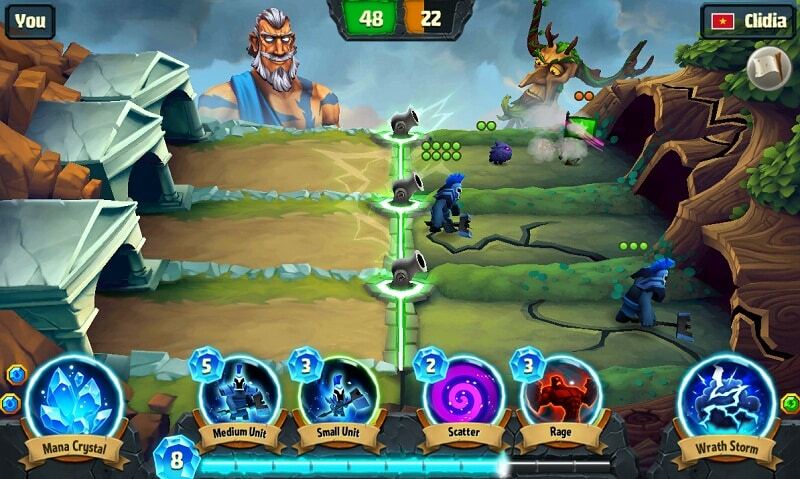 Similar to Clash Royale, Spellbinders is one of the best mobile strategy games offering short-bursts of MOBA action. Pick from a large roster of Titans and spawn legions of minions to tip the lane battles in your favor. Where and when you place your units are also crucial to securing victory. You’ll unlock new magic spells the more matches you win, further deepening the game’s strategic elements. Spellbinders is also one of the nicest looking games like Clash Royale with bright colors and smooth animations. Read player reviews of Spellbinders. Squint and you might mistake Jungle Clash as Clash Royale. Like Clash Royale, Jungle Clash combines MOBA, tower defense, and collectible cards as you attack your opponent’s towers and base while defending your own. You drag and drop your cards onto one of two lanes, upgrading them along the way as you win more online matches. PvP battles are quick and intense and perfect for on-the-go playing. In short, Jungle Clash basically rips-off Clash Royale, switching in military aesthetics. Read player reviews of Jungle Clash. Like most games like Clash Royale, Titan Brawls gives you the chance to battle other online players in quick 3-minute MOBA / PvP matches. Collect and upgrade new Titans and Champions as you push your way down two lanes vying to destroy your opponent’s base. There’s also a global ranking system similar to Clash Royale to keep you motivated in improving your strategies and tactics. Overall, the game stresses its MOBA elements far more than Clash Royale. 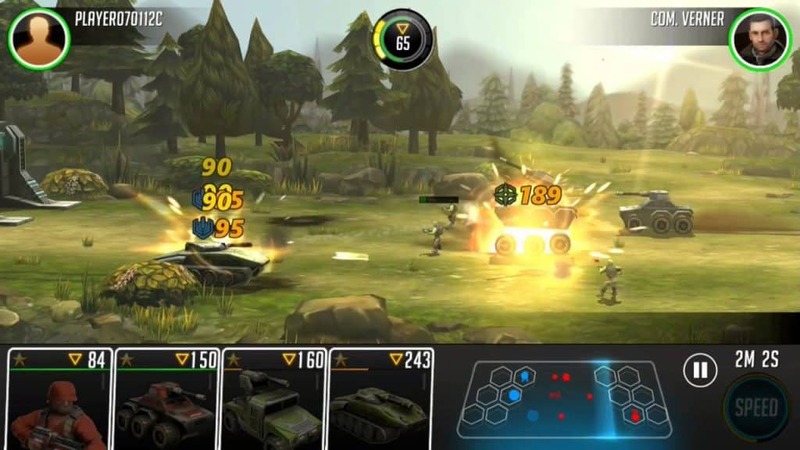 However, it retains a level of addictive simplicity that makes it one of the best mobile strategy games available. 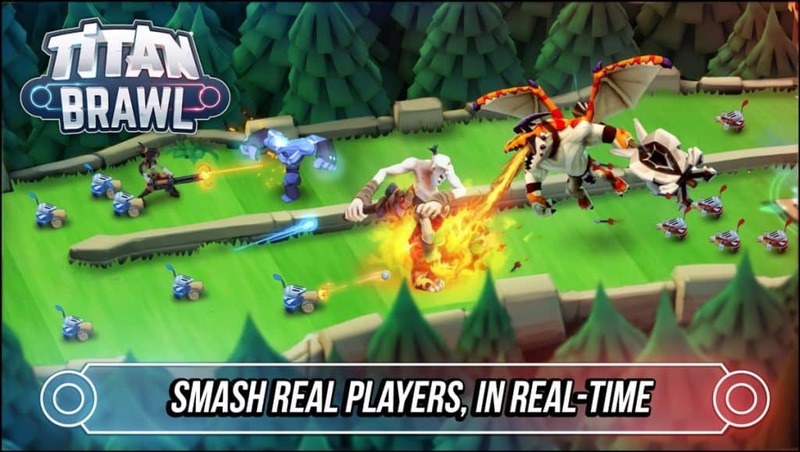 Read player reviews of Titan Brawl. League of War has a similar tug-of-war battle system as Clash Royale. Your aim is to build up a unique deck of units (e.g. soldiers, tanks, helicopters, etc.) that you can use to ‘push back’ against your enemy, seeking to destroy his / her headquarters. Winning battles unlocks loot that you can use to tech up each unit. In addition, the game has an insanely addictive base-building element to it that further expands your strategic options. A strong inclusion in our list of best mobile strategy games like Clash Royale. Read player reviews of League of War: Mercenaries. Cards and Castles has slightly more drawn out matches than Clash Royale. The game also uses tiles for movement rather than lanes. However, the two games do share a few similar features. Essentially, you spawn units using cards on a battlefield as you try to take out your opponent’s castle. Each unit has various strengths and vulnerabilities that you’ll have to balance out to win online matches. Think of Cards and Castles as a mix of Clash Royale and Chess and you’ll get the picture. A definite must-try if you’re searching for more games like Clash Royale with a bit of a twist. Read player reviews of Cards and Castles. Royal Pirates is one of a few copycat games like Clash Royale, dressed in a pirate outfit. The game plays out in very much the same way: quick MOBA / tower defense matches with upgradable units and two lanes. The developers did make a few minor stat tweaks to key characters, also changing all their animations and avatars. 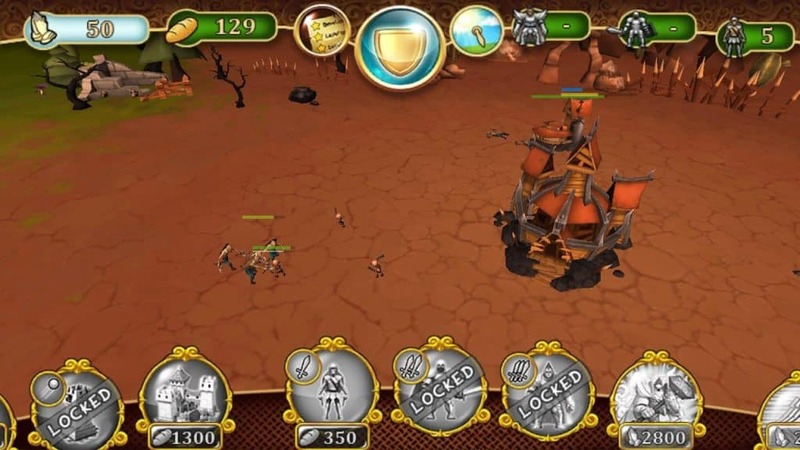 However, you’ll no doubt feel immediately at home with the near-identical mechanics of this mobile strategy game. A good filler app when waiting for chest cooldowns in Clash Royale! Read player reviews of Royal Pirates. At of the time of this post, Breach Arena isn’t fully released yet. 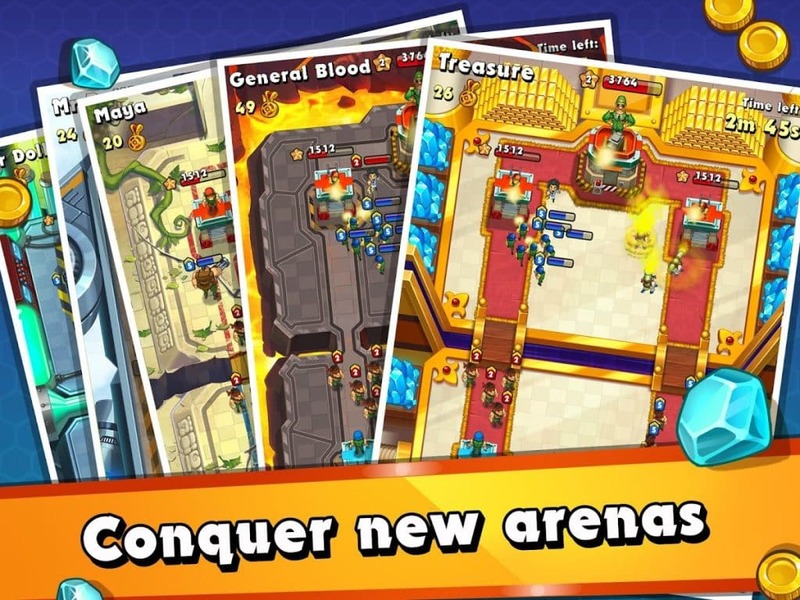 However, what’s interesting is that it advertises itself as a MOBA / card collecting / tower defense hybrid – making it one of a few games like Clash Royale. In short, you’re able to pre-plan your own custom army of Heroes, Guardians, and Battle Cards that you can then use to attack / defend on battlefield lanes. Unlike Clash Royale, the game allows for a good degree of manual movements, thus empowering you with even more strategic control. 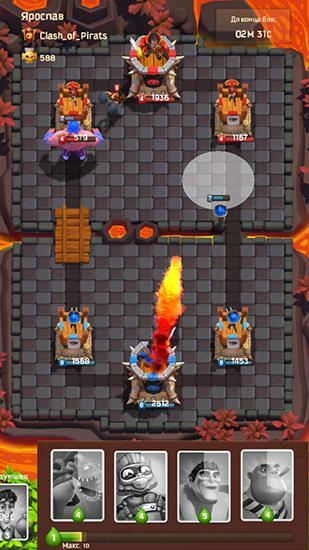 Most enticing of all is Breach Arena’s promise to deliver intense team-based 3v3 online play – a feature that’ll appeal to Clash Royale fans keen on hybrid-style online matches. Read more about Breach Arena. Don’t be fooled by the simplistic stick figures. As of now, Stick War: Legacy enjoys an incredible 4.6 out of 5 rating on Google Play (from more than 300,000 reviews!). This app doesn’t have an online multiplayer component. However, the core gameplay is similar enough to most games like Clash Royale to at least warrant its inclusion here. 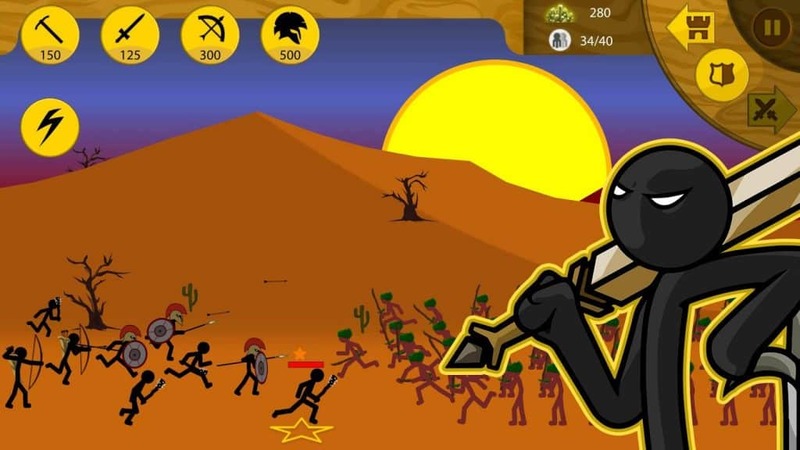 Basically, you control an army of stickmen. Your chief task is to build units, mine resources, and push down the lane to attack the enemy’s statue while defending your own. Army stances are moreover customizable, adding further depth to the tug-of-war gameplay. Like Clash Royale, you have different units equipped with various strengths and weaknesses. It’s up to you to balance out your forces to secure victory. Read player reviews of Stick War: Legacy. Battle Towers opts for an open-field approach instead of a lane system. However, the game strikes the perfect balance of tower attack / defense that you see in many best mobile strategy games like Clash Royale. You’re able to choose from a wide assortment of units, buildings, and spells as you seek to destroy your enemy’s base. Construction costs food that replenishes throughout each match. Timing is also key to winning, inviting you to place the best possible units at the ideal moment. In addition, Battle Towers runs on a decent looking 3D engine with easy to use controls and navigation. Read player reviews of Battle Towers. If Minecraft and Clash Royale had a baby, it’d look like Craft Royale. The game has the exact same core mechanics as Clash Royale with two towers, upgradeable units, and fast-paced PvP matches. Visually, Craft Royale features bright and well-crafted voxel graphics that’ll appeal to fans of this art style. Despite being a knock-off, Craft Royale has a decent sized player base who are quite supportive for the developers to further improve upon this app. 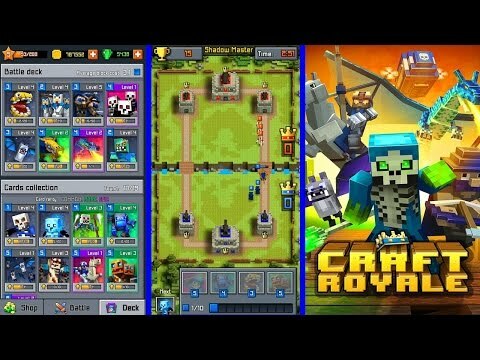 One of the better mimicking games like Clash Royale available now. Read player reviews of Craft Royale. More Best Mobile Strategy Games Like Clash Royale await!